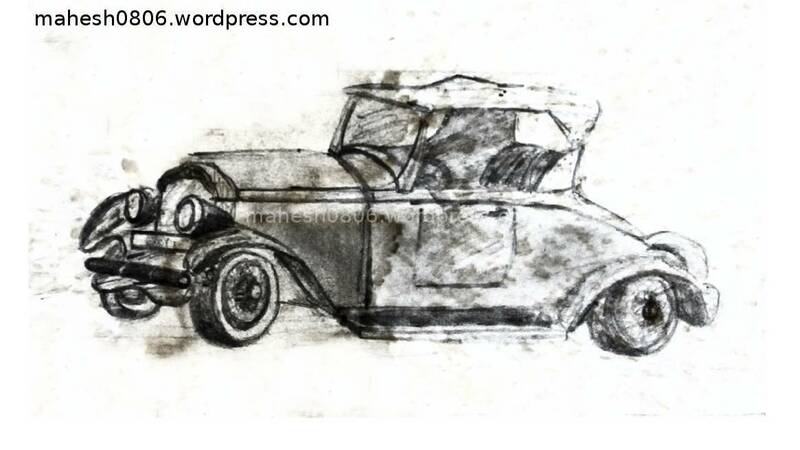 Old Sketch of a vintage car. The paper was completely in worn-out like condition and also had a few Tea marks on it :). I edited it little bit in ‘Krita’, still could not completely recover it. But the editing was very enjoyable.